So far from the noise of the towns and so close to the great lakes, huge glaciers, woods, mountains and a sky that seems to join infinity. 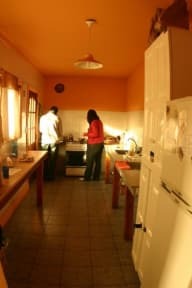 If your are looking for a quiet place where you wake up with birds singing and where the magic of nature and great atmosphere are combine, our hostel is for you. 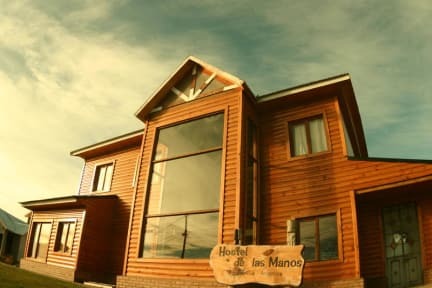 We are located just 4 blocks from the main avenue in El Calafate and surrounded by the Laguna Niez Natural Reserve. We offer comfortable accommodations in double, triple or quadruple rooms. All rooms are heated and bathrooms come with 24hr hot water showers.Our big and comfortable common areas are ideal for relaxing and meeting other travellers. Our bilingual stuff can help you to manage all your Patagonia excursions: Perrito Morreno, Torres del Paine, sport fishing and many more!